More stable and versatile than a typical temporary above-ground pool and less likely to tank your home real estate value than a built-in one, this modular plug-and-play swimming pool is the best of both worlds. 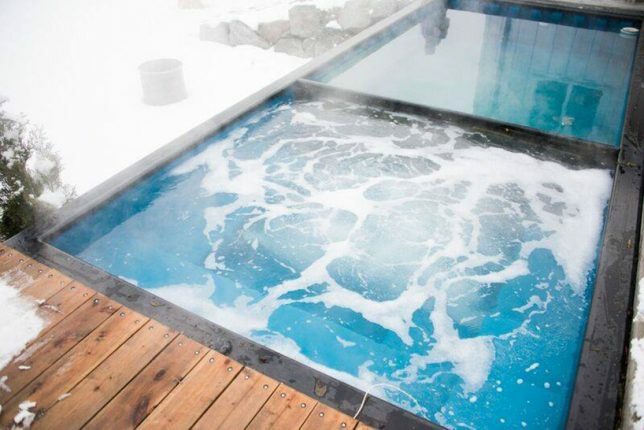 Developed by Canadian company Modpools, these converted shipping containers measure 8 by 20 feet (or 8 by 40), can be used year-round and can be converted for use as a hot tub on demand (via a segmenting module). Using the relatively light but sturdy shape of the container as a framework, these pools can be lifted and loaded onto trucks and trains (just like any other inter-modal unit). They can also be plugged in and set to go in minutes, then rearranged on a lot should a resident decide to expand their existing home or reconfigure their yard. Historically, having a carved-out backyard pool has been known to actually reduce real estate values, leading many homeowners to fill theirs in before putting a house up for sale. 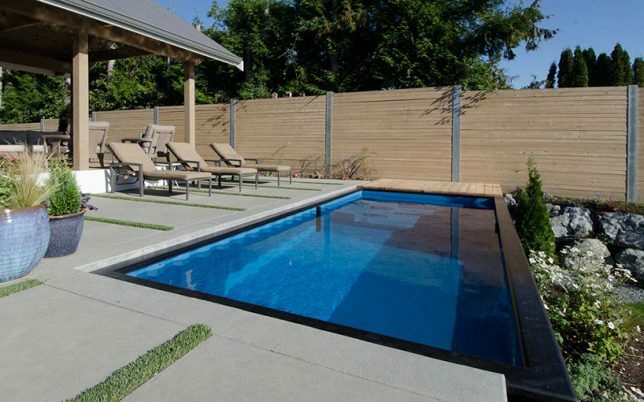 With this solution, the pool can simply be relocated to a new residence or resold and used somewhere else. Currently priced around $27,000 they don’t come cheap, but offer correspondingly more flexibility — the twice-as-long 40-footer is also not much more expensive at $35,000 for those with the space. The pools come with bonus technology features, too, like the ability to control the lighting and heating remotely, letting users crank up the warmth while on the way home to take a swim in the pool or a soak in the hot tub.